It’s summer. The days are long, the weather is warm and all we want is to enjoy a nice evening on our porch. That was exactly what I was looking for when I saw this beautiful outdoor fan and I knew I found the perfect solution. 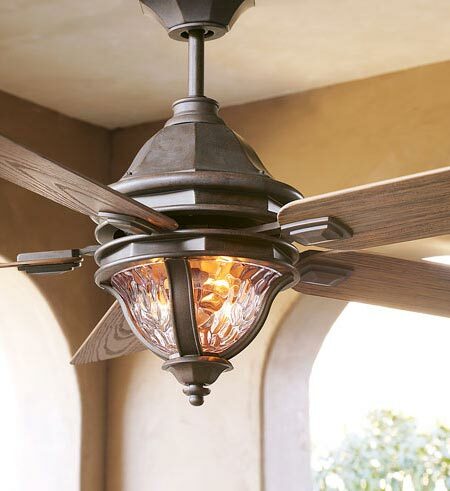 First and foremost, the Monticello is not just a fan, it’s also a light with a clear water glass fixture using three bulbs; the five wooden blades stem from the motor at a 14 degree pitch for optimum movement of air; a plentiful walnut finish defines the smooth flowing lines of the motor housing; and the final result says it all – this fan brights up the balcony with its light and soft atmosphere and mellows you out with its breeze. To spoil me silly – it even comes with a remote control. Treating my balcony with such a chic item was my best decision this summer. No-one wanted to leave the porch as it was the best place in the house to hang-out and to chill-in. Usually, all we want from a fan is to spray some breeze. With Monticello’s fan I gained one of my best decorative smart looking items in my house as well as a light breeze for the entire summer.